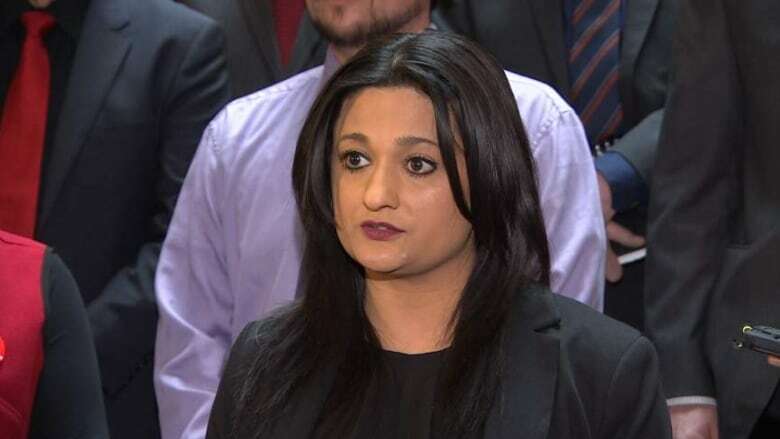 Manitoba Liberal Party Leader Rana Bokhari is stepping down, according to a news release issued by the party on Saturday. "It is on that positive note, that I have informed the Manitoba Liberal Party Executive that I will not be leading the MLP into the next election," she is quoted as saying. This comes less than three weeks after three Liberal candidates were elected as MLAs in the Manitoba provincial election, when Brian Pallister's Progressive Conservative Party won a record-breaking majority in the province. Closely following the election, Bokhari announced she had no intention to step down. In fact, she said, she hadn't ever considered quitting. "Now is not the time to disrupt anything, we've got to keep moving forward," Bokhari said on April 21. But on Saturday, the statement said Bokhari plans to resume practicing law once a new party leader is elected. Until then, she will stay on as the Manitoba Liberal Party's interim leader. "Over the coming months as we transition into an even more exciting phase and elect a new leader, I will be working with the Liberal caucus and the Liberal Party Executive to ensure that the leadership transition is smooth and constructive," she is quoted as saying in the news release. "As interim leader, I will work with the entire Liberal team, to continue to engage with our supporters, to fundraise and build our capacity for the new leader who will lead us to even greater success in 2020."